← Happy Birthday Liverpool Philharmonic Hall! We all want to grow food without chemicals. Organic farming is definitely the way forward. However, pests such as caterpillars and greenfly can decimate a crop in no time at all. 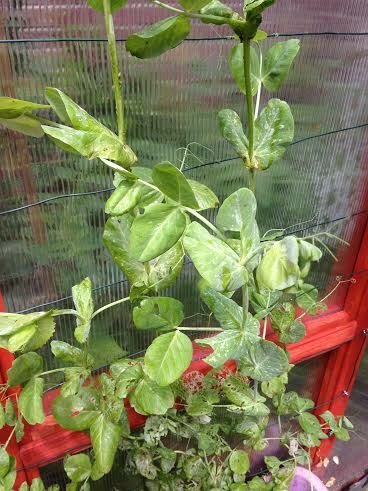 I have just encountered a greenfly infestation in my climbing pea crop and in the two days since I noticed them they have caused a lot of damage to the leaves. `As luck would have it, I had just ordered a small consignment of 25 adult two spot ladybirds (ladybugs for our readers across the pond!). They feed on aphids etc and also breed rapidly so I should have plenty available soon. Sadly, I don’t have time to wait as I won’t have any pea plants left! I found an empty spay bottle, washed it out and filled it with 20% washing up detergent and 80% water. I then sprayed all the affected areas. 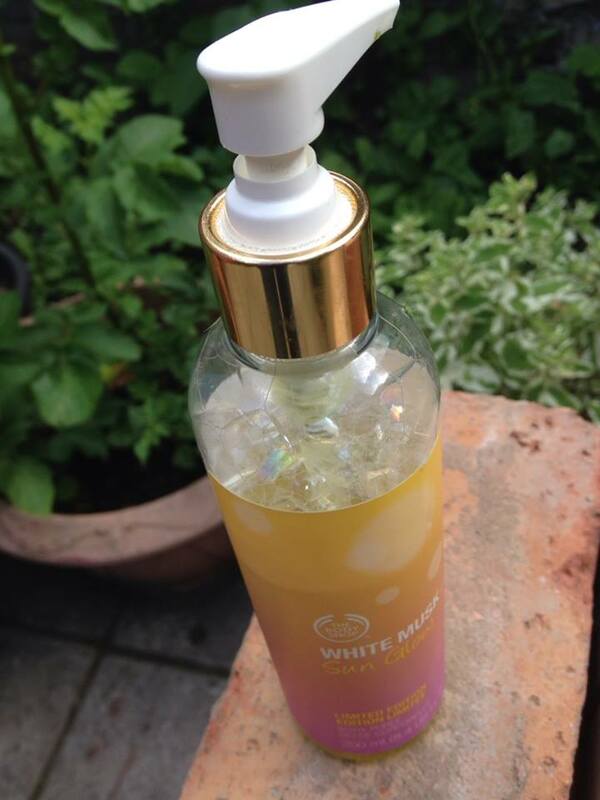 The soapy water appears to kill the greenfly straight away. 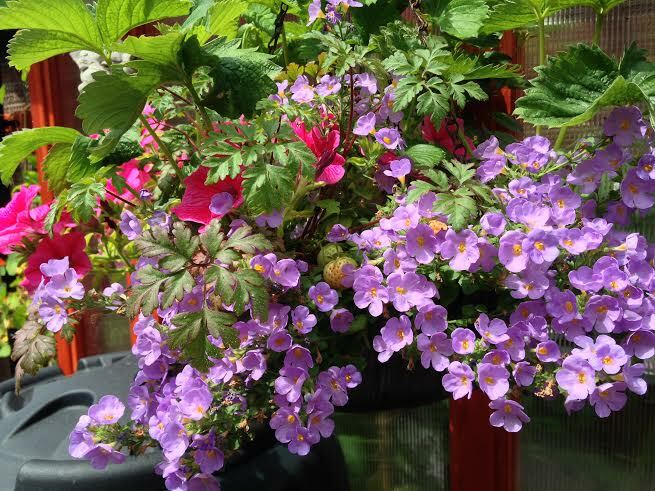 Don’t spray it on in bright sunshine as it can badly scorch the plant. Lacewings are also handy, for the same reasons as ladybirds and should be encouraged. Pesticides kill all the helpful ‘critters’ and well as the harmful ones and will kill bees and other pollenating ‘friends’ of the garden. 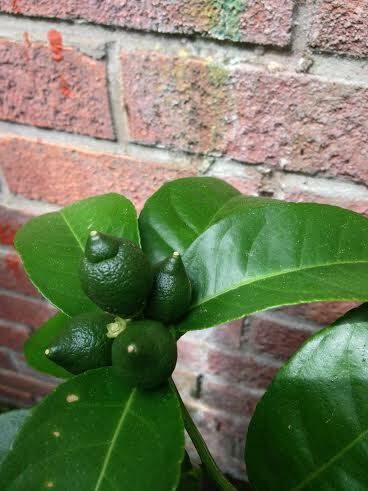 I have only found one caterpillar so far but am expecting more so I am constantly inspecting my plants for damage. I squashed that one under foot but I am always looking on the nasturtiums for the little patterns of eggs laid by butterflies and rub them off. 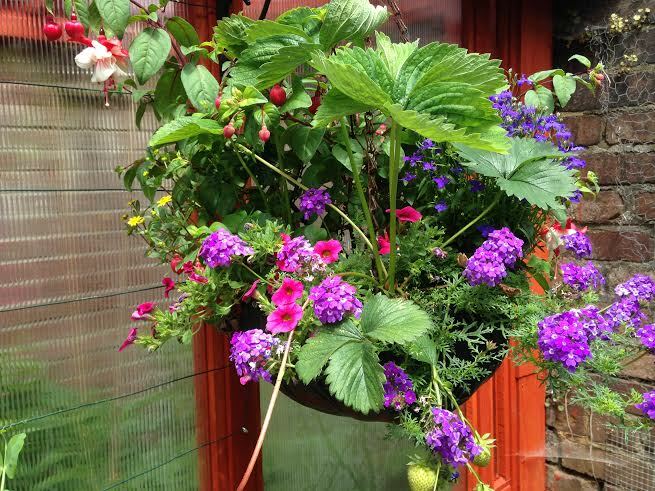 Encourage bees by putting a variety of flowers ai hanging baskets etc to have them as regular visitors by the time your beans and courgettes go into flower. 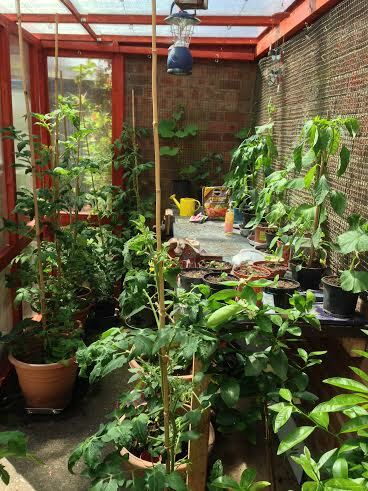 Meanwhile, my new greenhouse is working even better than expected with everything shooting up and fruiting much earlier than previous years. Tomatoes already hanging of the vines. 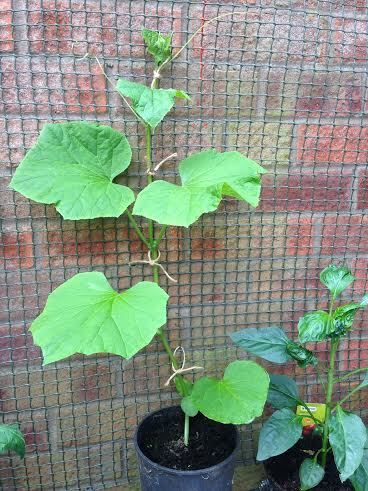 My first attempt at cucumbers is looking good. 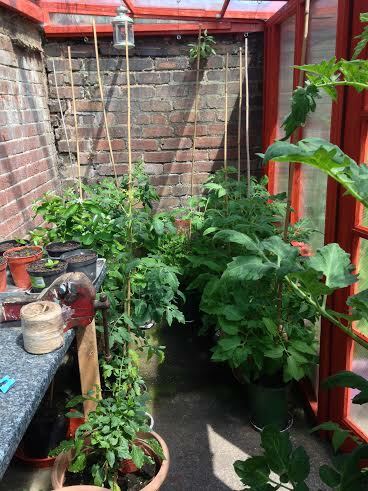 The plants are climbing in the greenhouse, just as the text books say. 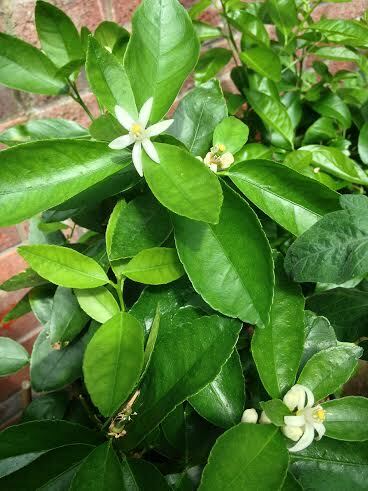 My lime tree and lemon tree (another first for me) are busy flowering and fruiting. 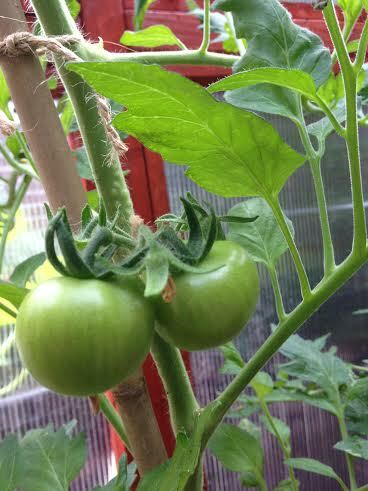 My San Marzano plum tomatoes are flowering like mad! 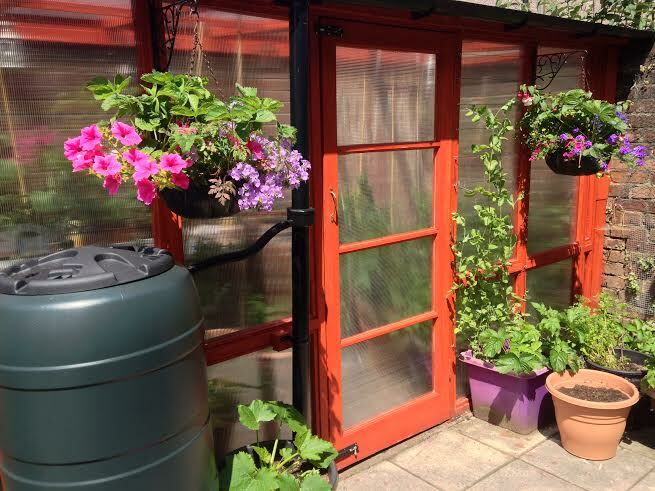 This entry was posted in The 'Urban Farm'. Bookmark the permalink.